Salads don’t have to be wimpy and boring diet food when you think about salad as an adventure! Yes! Salads can be pretty adventurous! Think about the varieties of salad alone, you could literally eat a salad everyday and not eat the same salad twice! Don’t believe me? I’m going to share ten with you today that will kick start your adventure. 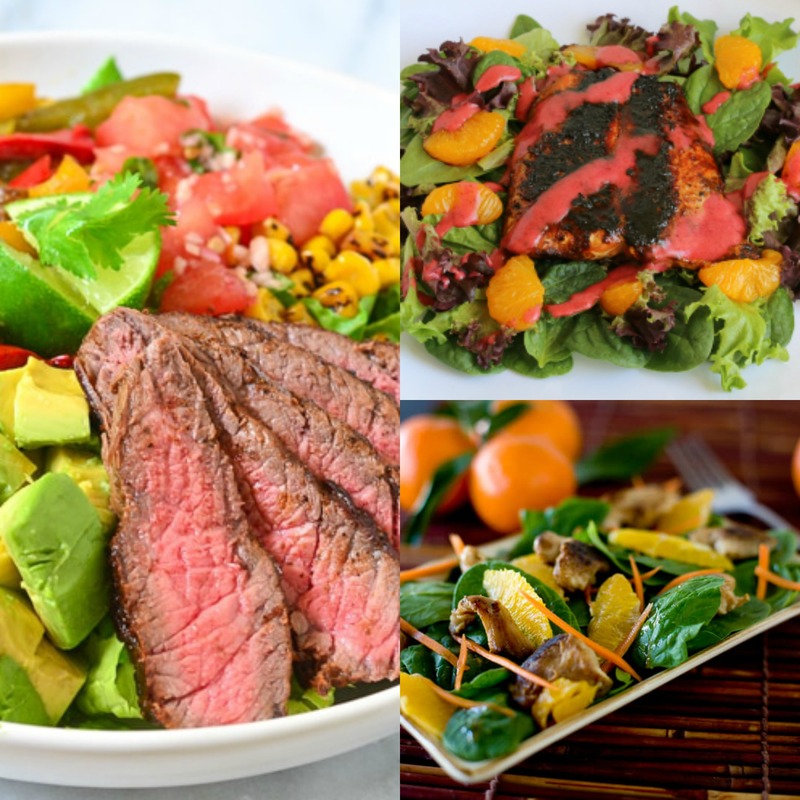 These salads are so bold and flavorful that even your “meat and potatoes”, full-on carnivore husband wouldn’t dare complain about it! Quick Tip: Live a little Mommy! Make the salad, plop on the bed to watch your favorite romantic comedy, and don’t share! That’s what I’m planning to do! Shhhhhh, dont’ tell the kids! Near my home is a Mexican restaurant that gives off the most aromatic smell when you walk by. It makes me crave fajitas from the moment I get even the smallest whiff of it! Fajitas are the only meal I eat in restaurants that I cannot recreate at home. No matter how many times I try, I cannot replicate an authentic fajita no matter what I do! It makes me so sad, but I Heart Naptime has given me a little hope with her Easy Fajita Salad Recipe. She recommends rubbing the seasoning directly onto the chicken (light bulb – why haven’t I thought of that?). 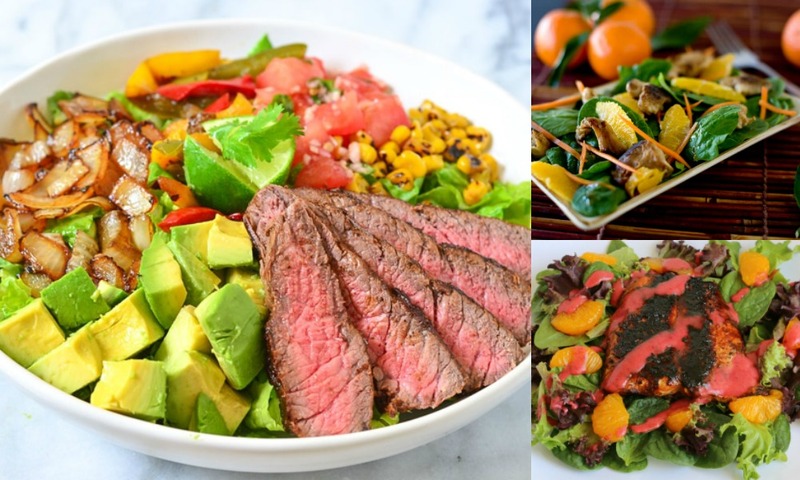 Read her delicious recipe, give it a try, and let me know how your Easy Fajita Salad turns out! 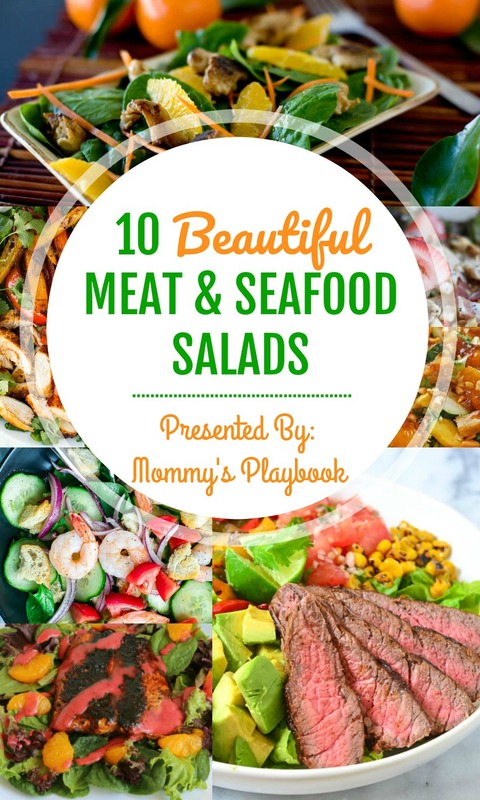 Now that you’ve seen my top two adventurous green leafy salads for carnivores, click on the links below to grab the recipes for eight MORE salads for Meat and Seafood Lovers! Hey, while you’re there, be sure to leave a comment letting my blog friends know that you found them at Mommy’s Playbook! They love to know I’m bragging on them to you! Disclaimer: Never use blogger photos without permission. I obtained permission to use the photos included in this article as a member of the Craft and Food Roundup group. Links were submitted by blog owners/representatives and photos are being used in accordance to the group rules. 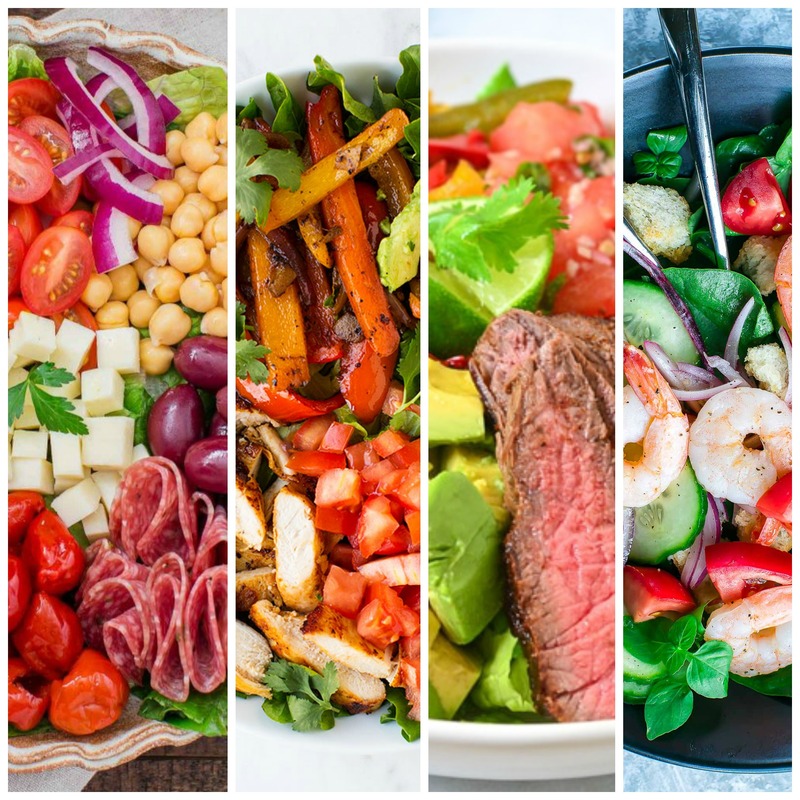 All of these salads look so good. I’m totally pinning these recipes. I’ve never had a burger salad before. I may try that one first. Those are beautiful salads. I wish mine looked that good. Not only do they sound delicious but they are beautiful. The antipasto one is my favorite. 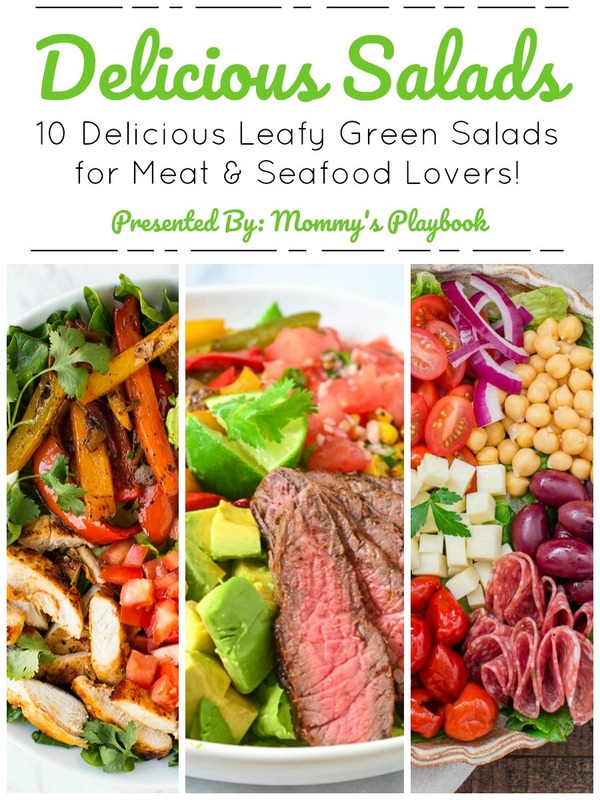 These salads look so good, I definitely have to try them! Oh the Bacon Blue Cheese Burger Salad sounds like a dream! I am all about salads, but I love full salads, just like these ones. Thank you for sharing. I love a good salad and these all sound delicious. Thanks for the list. I pinned! So good, especially the avocado one, it’s always nice to have some filling salads. Maybe some with quinoa or potato eggs.. hmm!